The second I discovered the ice cream cookie sandwich at DMK Burger a few months back, I knew I had to investigate the origins of the perfectly chewy, delicious cookies that flanked the ice cream. OK, it’s an ice cream sandwich, can you really mess it up? Well, no, but the cookies still made the dessert, and when I heard they were the stars of the show at the brand new Cookie Bar in Lincoln Park, I had to head over. Before I found the place, I was expecting a tiny, bite-sized spot (like More cupcakes, noted my dining companion, or Hoosier Mama Pie), a little space for a relatively small snack. 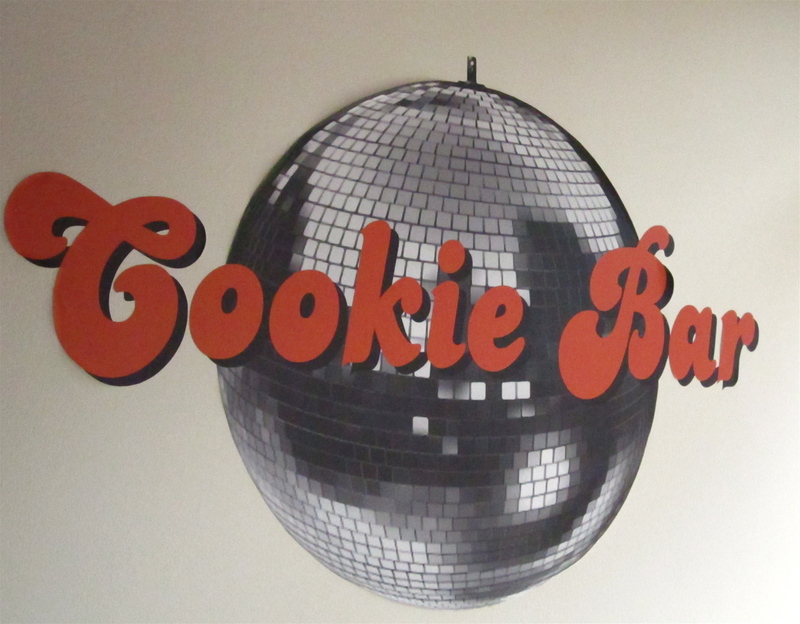 But Cookie Bar is surprisingly spacious. It’s not good or bad, just unexpected, and it doesn’t look like the space is fully being utilized (yet?). I was also a little thrown that the only disco ball-paraphernalia in the room is painted on the wall in the logo, rather than dazzling dizzily above as the funky Web site might have you believe. But no matter! 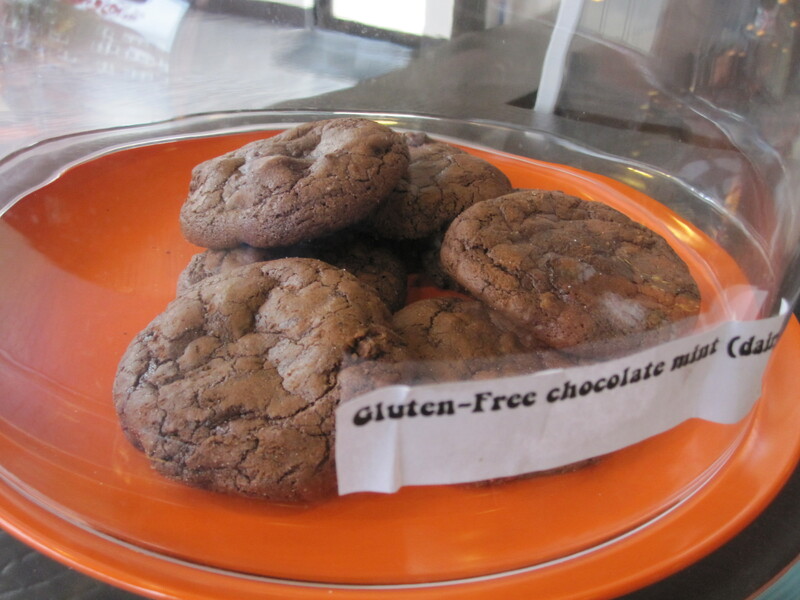 We have come for cookies, and daily-changing fresh baked, dairy-free and gluten-free cookies there are. I knew I’d love the chipotle chocolate chip just by the sound and dark red powder sprinkled on top of a moist, chewy and flat chocolate chip cookie, and did. An awesome combo that works for an ancho chili fudge pie, Mexican hot chocolate or any other chocolate-chili duo. The Lisa Marie Presley was also delish, a thicker, peanut butter cookie with chocolate chips, caramelized banana chips, peanut butter cups and more peanut butter. 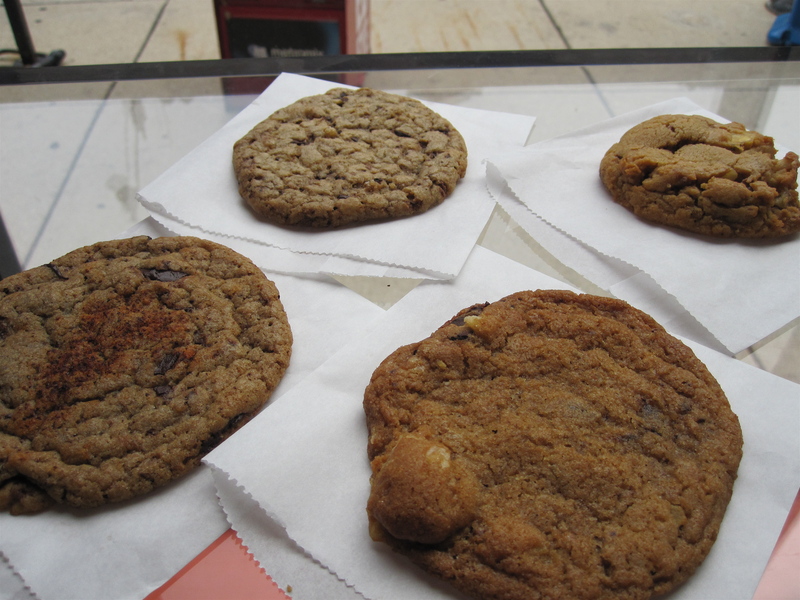 The crispy chocolate chip and potato chip chocolate chip (I wanted to see big chunks of potato chips in this, but only noticed crumbs) didn’t wow us as much, but this is the kind of place you go back and try varieties until you find your favorite; they’ve got oatmeal-chili-mango-macadamia, milk chocolate chip and ginger, black sesame, green tea, and holy hell, a balsamic caramel we didn’t even see on our visit. This place sounds amazing. I want to try every single one of them that you talked about. I see a sugar buzz and a diet (afterwards) coming on soon!